Choose the package that works best for the stage of your business. 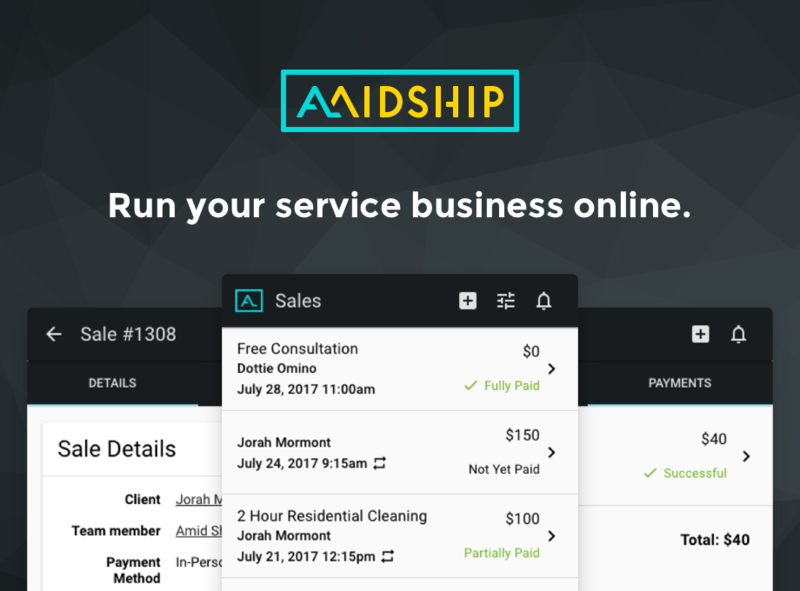 Amidship is a small business platform that makes it easy to run your service business online. 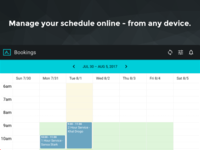 Offer your clients the convenience of booking your services online 24/7 through your booking system. 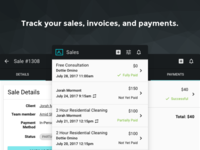 Save even more time by setting up automated reminders, payments, and recurring appointments. 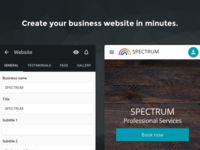 Establish your brand online through your custom business website. Manage your business on-the-go using any computer, tablet, or mobile device. Streamline your business; Delight your customers! Pros: I love the software. It's easy to manuver around. I love the price for it monthly and I love how easy it is to decorate. 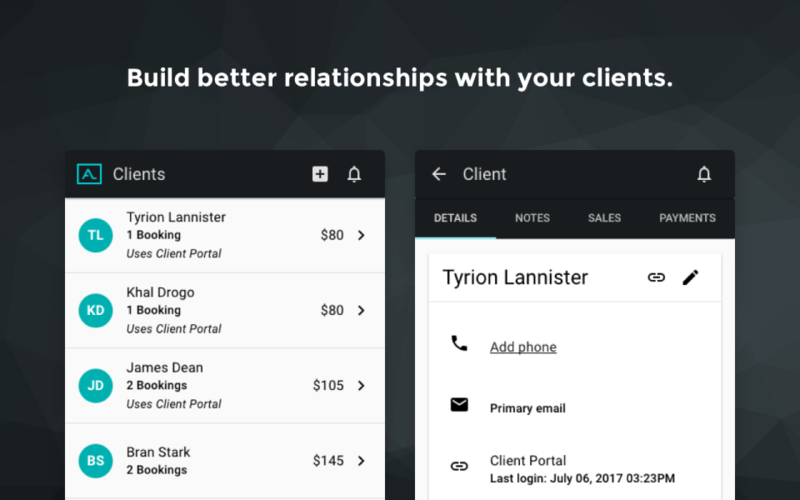 I like that's its easy to book my clients instead of them having to use an app. Cons: I have suggested gift cards to be added on there, number of views that a person goes to your site, social media feed (reviews) to be shown on my page and a few other things. It stinks that it's only software for booking purposes which works out great for me but for others what if they are selling things? Nothing that requires booking.. so they are unable to use this software. Overall: I love it which is why I'm still with them. The price is great and it's easy to use. You can choose what color you want your clients can book easily, it keeps track of your appointments it's everything I wanted to start my microblading business. Just fix a few of my cons like checking the viewers that view my page, add gift cards to we're my clients can treat their family and friends, make it to where my instagram feed can be seen on my page and that's about it for now. Pros: Its easy to use, has a nice interface and its constantly getting better. Very happy with the service so far. Cons: No real cons, just a few more minor improvements for managing my business with the site and it will be perfect. 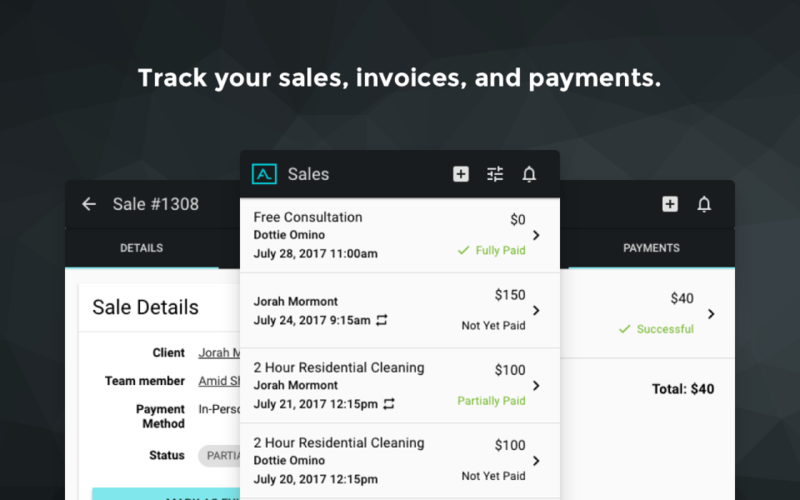 Pros: How user-friendly it is for clients (for the most part). I like that my suggestions and concerns are always treated as valid and customer service deals with any issues promptly. Cons: Most of my dissatisfaction stems from services, etc that are currently being worked on. For example, the ability to take deposits would greatly decrease the number of no-shows from clients. Having my add-on travel charge for in-home visits be added on to a booked service rather than having to book it in a separate time slot would also be handy. Overall: Reassures my clients of my professionalism and helps to cultivate a good reputation amongst clients seeking my services. Pros: I love that they have a template for whatever your business is. I like how very simple the website is to use. Cons: I am hoping in the future that they will change the image uploading for the background photo. Maybe incorporate different templates to choose from. 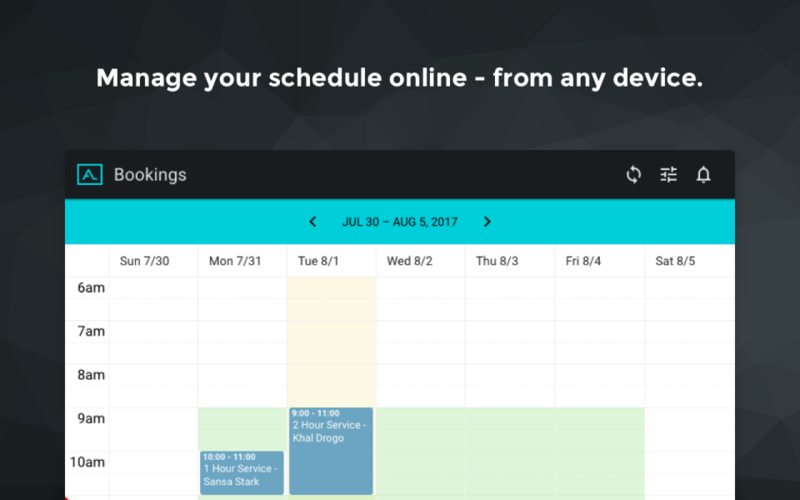 I also recently had an issue with the scheduling app through the website. It kept allowing clients to book in even though I had the times blocked off. I ended up just taking it away for now. Overall: My overall experience is great. I I ever have an issue they are quick to respond and correct the problem. Pros: The customer service and updates on th software. Cons: Little clinches but customer service helped right away. Overall: Very happy overall. Great software helps my business out a lot. Pros: It is very simple to use, a ton of sites I would have to hire someone to do for me or teach em how to use it. It was very simple. It looks professional & is super affordable which I didn't expect at all. I'm very happy with it! Cons: I've only had some small issues with when I changed my availability it took some time for it to process. 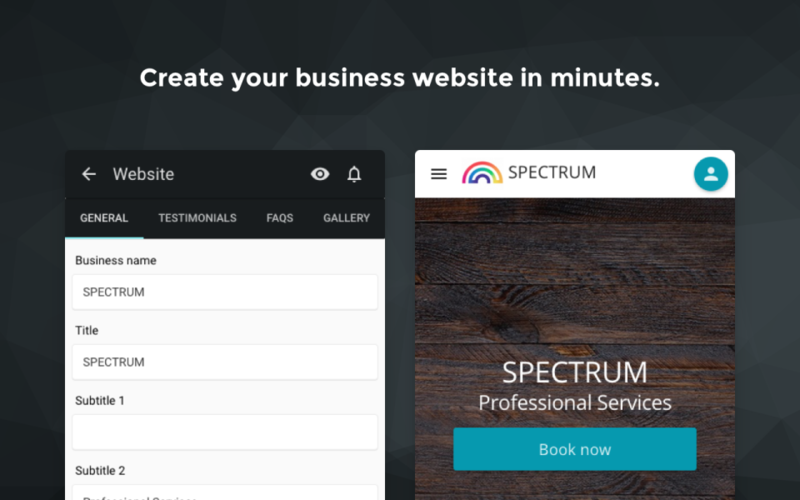 Overall: They have been very responsive when I've had issues, the site has helped me book more clients, I'm all around happy! Great booking system for customers to use. Pros: Love the baility to change themes and customize backgrounds and colours. Like that I can add testimonials and choose which services I want people to be able to see. Staff is always available to answer any of my questions and help me out. Cons: I don't like that I cannot link my square account and or have customers send e-transfers/payments directly to me through the site since I am not affiliated with PayPal or Stripe. I wish clients could pay prior to booking so that it's prepaid. I also wish I could choose not to have prices listed. It would be nice if there were more space to write and if they allowed longer testimonials. In addition to the ability to upload videos directly to the site itself. Pros: I like the modern look. 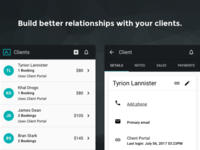 I love how there are text notifications for clients. Customer service is really good. Overall: More clientele book with me now. They can book directly on my website if I'm unavailable to take their call. Pros: I love the ease of it, and the fact that it was available and affordable for me! Cons: I wish the background of my website was brighter so you could see the picture a bit better. Overall: The person I have spoken with through out has been nothing but helpful. The set up was very easy. I love it. Cons: I would like it to have more themes and options to customize the website. So I can reorder the site in order of relevance for my clients. Overall: Control of my business. Pros: I love that I can run my business without having to stop and schedule people in. Cons: Since signing up with Amidship, I have not received any leads. 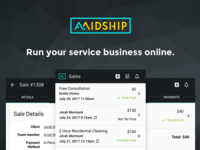 I was told that Amidship is a very popular search engine and I could get some leads but since joining I have not. Overall: Not getting enough leads is my only issue. Overall: I received an email offering an membership to Amidship and thought why not give it a try? So far, so good! I've had good customer service and I love my website. Cons: When writing in the Bio part I couldn't see what I wrote to afterwards. So it made it little difficult for editing purposes.